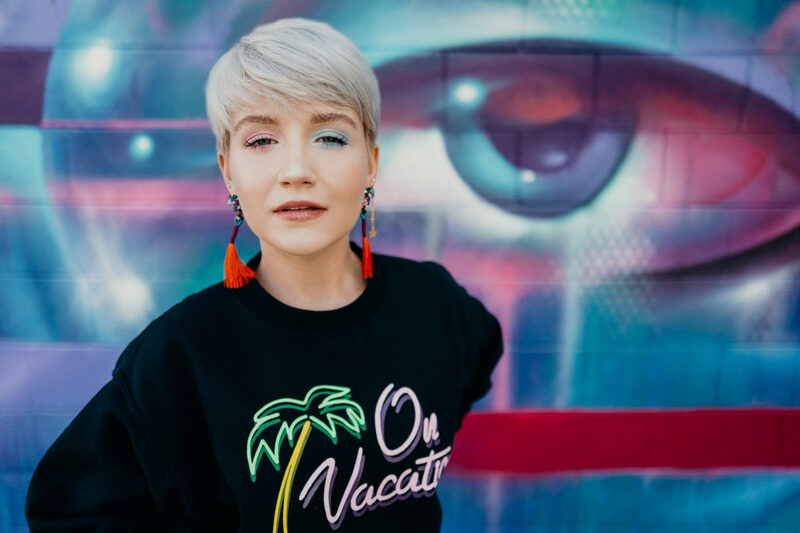 Meet rising pop artist, Anja Kotar! Originally from Slovenia, Anja ventured to California to focus her attention on her singing and songwriting. Her newest video and single “Poster Child of California” was released on June 1st. Her album, NOMAD gained her recognition from A&R Factory, Celebmix, and won her the Best Pop Song award from the American Songwriting Awards. Anja took her love for fashion to the next level and opened her own online store, Too Cool. Too Cool connects music and fashion for the new generation of cool and embodies the belief that the future of music lies in creating a multifaceted artistic experience where music becomes more than just songs. She is also wearing several Too Cool products in the new music video. In partnership with LaFamos PR, we are thrilled to premiere an unreleased acoustic version of her latest single. Her beautiful vocals shine throughout the stripped-down rendition of the upbeat jam. It’s safe to say this talented babe will soon be owning the airwaves.